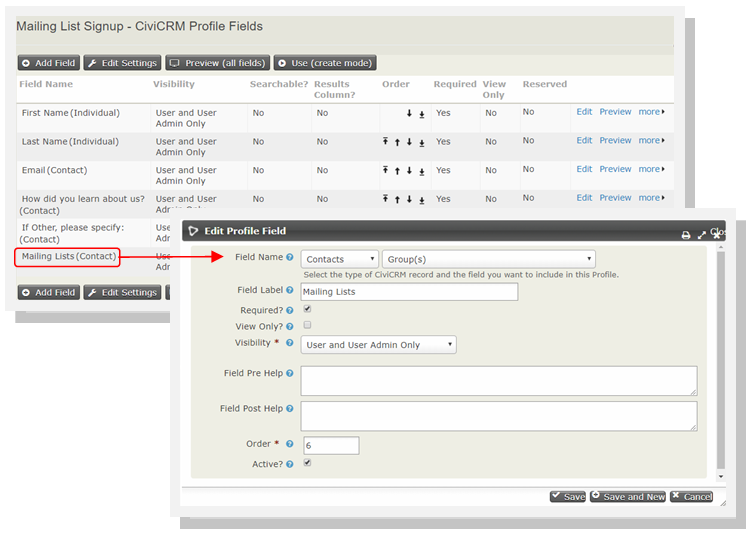 Did you know you can use a CiviCRM profile to customize your mailing list signups, even if you use MailChimp? Of course, you can offer just a list of groups to a given subscriber, but when you use a profile, you can also collect important data about that subscriber that can help target your constituents more effectively. Regardless of which method you choose, both rely on groups that are created with a Group Type of Mailing List and Visibility set to Public Pages (you can read more about Mailing Groups at the following LINK). Since syncronization with MailChimp is managed in the group settings, the method by which that mailing group is selected (either directly or via a profile) is of no consequence.